Always keep your Bulgarian permanent and current addresses up to date! Today I was frustrated to hear how a person I know got convicted without even knowing it. He got condemned by his first born son, for lack of parental support court case. To understand how such ridiculous situation is possible, let me first explain that in Bulgaria we have two types of “official” addresses: permanent and current. 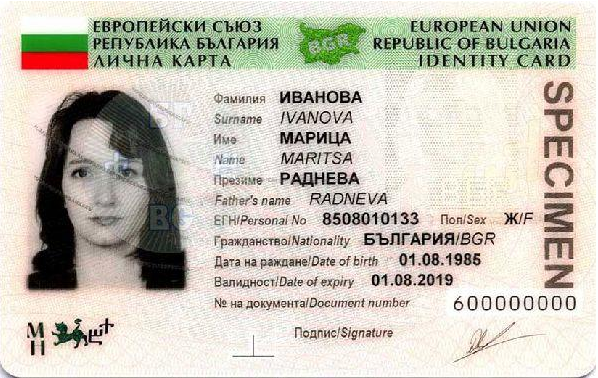 The permanent address is your primary address, which is also written on the back of your Bulgarian ID card. Changing this address usually happens on rare occasions, and requires a full change of your government documents: ID card and Driving License. Also, all your voting happens by default on your permanent address, e.g. the government assigns you to vote based on this address first. The other address, the “current” one, is usually used when you still can be found on the permanent one or could return living there, but you’re currently in a different location. The current address is useful for students, who go to study in a different city or for families, which own more than one place and would like to have both addresses available. If you have given a “current address,” then the government will try to contact you first there, if any official communication is necessary. If the formal communication cannot reach you at your current address, the government will revert to your “permanent address” and will try to find you there. Since issuing new government IDs is (still) a nasty, time consuming and annoying process, many people do not care to keep their permanent address up to date. Usually, this address remains the address of the place, where they lived at the moment they had to get their first ID card (this happens when a person is 14 years old). Ever since they got that sorted, they did not care to change this address. These individuals might be OK, if their parents are still at their initial address, and if they keep the connection with their parents. Despite this, however, it’s always an excellent idea to have your current address, known by the government in the cases it differs from the permanent one. It’s easy to update the current address: all it takes is a visit to the municipality you’re currently living and a declaration about your current residence. Of course, you will need a valid documentation, which entitles you to live there: either a rental or ownership contract for this place. You present these (a copy might be necessary), the clerk registers you, and that’s it. 1. You’ve road penalty ticket issued on your name. The ticket will arrive at your current address (or the permanent one, if there’s no current). If the address is correct, and you agree with the penalty, you’ll get 30% discount, if you pay the penalty in 2 weeks once it arrives. What will happen, if the ticket does not reach you? First, you will lose the default possibility for payment discount. Second, you will be (badly) surprised, when you occasionally visit Ministry of Interior’s Bureau. 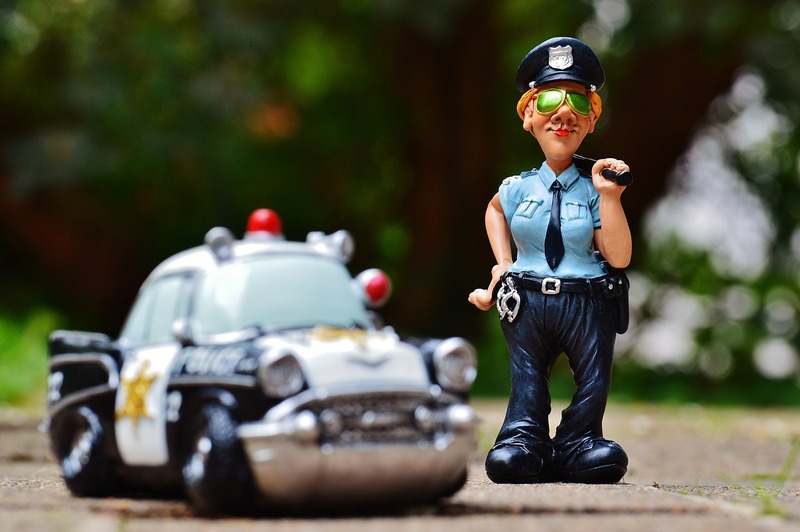 Apart from what you need to sort out there, you’ll also suddenly find that you need to pay an unknown, but accumulated amount of road penalties. Sometimes this could be significant. If the clerks are polite and understanding (and if you’re also polite and understanding), they might decide you’ve not been informed and still give you the discount right, but it’s absolutely up to them. You don’t want this to happen. 2. You’re asked to appear as a witness in a court case. In this case, you may fail to help a case, on which they have only your name and EGN, but not your phone. In such case, the court will try locating you based on your official addresses. If both are invalid, you’ll never appear in the case. In most cases, this will only mean your testimony will not be heard. 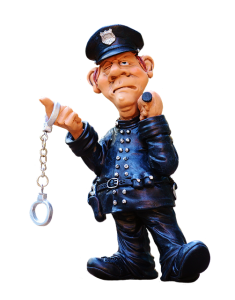 But if for whatever reason the court case is extremely critical, the court might request the police to issue a national search order for you. Imagine the case you try to leave the country for a vacation abroad, and the border officer just pulls you out of the line and does not let you go abroad because of this? Such situation can be very annoying, and very destructive to your plans. 3. You’re asked to appear on trial as a side! Such case is the worst, with the most severe consequences for you. If someone files a lawsuit against you, a court clerk will have to serve you with the invitation to appear in front of the judge. Assuming the other side has not informed you (they are not at all required to do so), then this clerk is the only person, who can reach you with such critical notification. If the registrar cannot find you on any of your addresses, another visit will happen. And then another. I do not remember exactly how many of these visits will do, but at some point (I think after the third unsuccessful one), the case will proceed without you. In such case, your interest will not be protected at all. Usually, this will result in your conviction. Such development of your court case is not okay for you, with unknown results. But do you know what’s worse now? You guessed right: the same kind of clerk will try to inform you about the conviction, using the same procedure, which failed few times above. This time it’s even more critical because there’s short (usually two weeks long), during which you may still appeal your conviction. If this period passes and you do not appeal, the sentence enters into force. Then… Then it depends on what the conviction is. You may end up again with national search order or not. It’s vague and depending on what the other side is ready to do to make you serve your sentence. Going back to my acquaintance: as he had his permanent address illegal, he fully exercised what I’ve described above in (3). I do not know how he found out that he’s being convicted with sentence into force, but he was quite devastated. Both by the news of it, and by the fact it’s his first born, who did the conviction. So, guys and girls, have your government known address always up to date! It cannot hurt you; it can be only beneficial to you. It doesn’t take much to do it, but it can save you tons of troubles, money and general worry. Windows Phone Support in Bulgaria: Please, no more bullshiting! Disclaimer: I cherish my personal relation and friendship with many of my ex-colleagues from Microsoft and Microsoft Bulgaria (yep, these are different things, you’d know if you were in both). However, I cannot hold my disappointment today, so I needed to post this. Friends and colleagues, I still do love and respect you and I’m your friend. This post has nothing to do with you, it’s not against you personally, it’s against this, which makes even you suffer much at work! Today I red in the Windows Phone Developer Blog that Windows Phone Marketplace support is being extended to support the following countries: Argentina, Indonesia, Malaysia, Peru, and the Philippines. The news filled me with joy, since I always believed that Windows Phone Marketplace support is normally first for the larger economies, then for the smaller, etc. etc. And now since we hit Philippines, it means that Bulgaria should already be a supported country, right? RIGHT? Hmmm, quick check! Alas, no! Not yet! Can’t buy a rusted penny from the Marketplace, because… my credit card is not supported, my country is not-yet-supported! Almost 2 years since the platform was announced! Let’s do some economics and math: Bulgarian GDP – per capita (PPP) is $13,500 (2010 est. ), Philippines’ GDP – per capita (PPP) is $3,500 (2010 est.). WTF, this is like 4 times more than Philies! Now, please stop telling us that “market size”, “country wealth” etc. are guiding points for all the bureaucracy, which takes decisions about Marketplace support per country. The facts above are rock-stone solid: average Bulgarian is 4 times richer than the average Philippine and Microsoft still prefers to give Philippine the Windows Marketplace, but not to enable it for Bulgaria? Am I allowed it to ask again: WTF? I am really jealous, of course! But I’m more insulted than the reasoning, which we’ve been given by Windows Marketplace executives, when we asked about Bulgarian support. “Market size”, my hairy a**! I see above how much this “market size” matters. 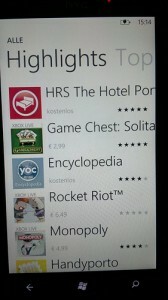 And it’s not only Windows Phone Marketplace! It’s also XBox Live, it’s Office 365, it’s many other services, which make us “third class citizen” from Microsoft perspective. I’d be offended, if I was not too much insulted by such behavior! Please, please, oh pretty please, can someone really tell us why? And when? Disclaimer 2: I’m writing this text before ACTA is accepted and in order in my country. After that I’ll be most probably forced (I do not write “sued” here, because there’ll be no need for court order!) to remove it by Microsoft for infringing their copyright on the name, because that’s how the big companies will be able to fight the criticism: not with expanding their services and keeping their customers happy, but mainly with repressing measures for the ones, dared to mention their name in the critic materials! That’s why ACTA has to be stopped at once!